Until smellivision is created, this page won’t do the food and craft beer scene justice. Don’t just read about the farm-to-table restaurants and biergartens, take our list and try them for yourself. For a full and up to date list of restaurants and breweries in Mecosta County, please visit the Mecosta County Area Chamber of Commerce website. Horseshoe Bar is a casual, family friendly place to grab a drink and a bite to eat in the Village of Marion. Serves lunch and dinner. Mishler’s Drive In is a seasonal drive-in open May through September. Serves lunch and dinner. Mr. Pibs Restaurant is a family style restaurant located directly on the White Pine Trail in LeRoy, Michigan. Their direct trail access makes it the perfect stop while bicycling or snowmobiling for a fun, relaxing meal. The menu is inspired by locally grown products that change with the seasons. Their slogan, “commit to the Mitt,” reflects their local food sourcing. Pere Marquette Bistro and Catering is both a sit-down restaurant and a catering company. The restaurant features many different menu items, all of which are able to be modified to fit customers’ tastes. Pompeii’s has been serving hot, fresh, and delicious pizza for almost 35 years. Seven Slots Grille offers home cooking with a friendly atmosphere for breakfast and lunch. Sunny’s Sports Bar & Grill offers the perfect ambience to relax and indulge in a variety of delectable food. If you are on a tight schedule, they even have takeout. The Gathering Place Restaurant & Gift Shop offers guests the chance to grab dinner, have a look around at their primitive country craft store, or stop in at the bakery for a snack. 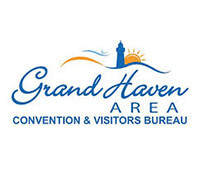 Our partners at the Convention and Visitors Bureaus have a complete listing of area restaurants and a handy search tool.